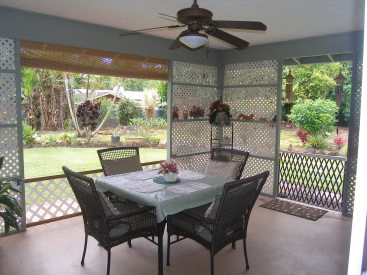 Spacious Home in the Wailua Homesteads Kauai Gardens Subdivision. 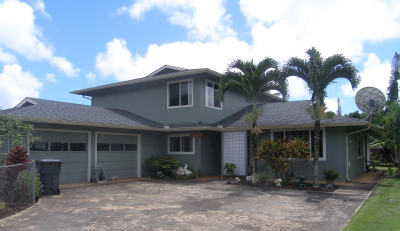 This home offers nearly 2500 square feet plus a two car garage, covered lanai and a backyard shed. 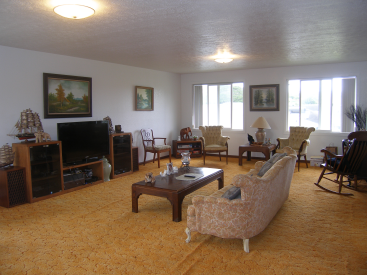 It offers a nicely landscaped yard that is fenced-in on three sides. 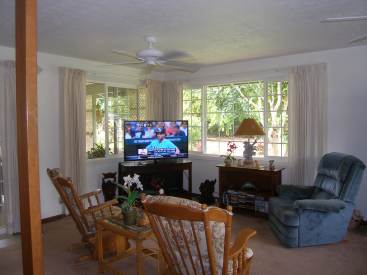 The first floor includes an entry, living room, dining room, kitchen, laundry room, covered porch and three bedrooms including the master suite (bedroom/bath) plus an additional full bath. 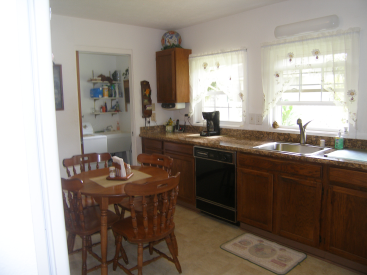 Granite counter tops in the kitchen, laundry and second bath. 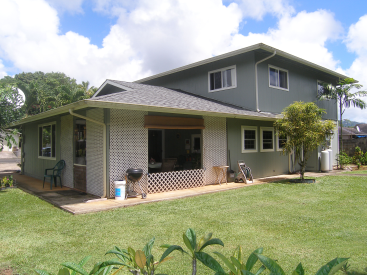 The second story offers a large family room, bedroom and bath and a den that can be easily converted to a fifth bedroom with the addition of a door. The fourth bath is located in the garage area- perfect for showering when you return from the beach.